Resident’s stay modified as needs evolve. Howard and Molly Waddell were working at the same facility for the developmentally disabled when they met. The two Upstate New York natives fell in love and married and have been together for more than 40 years. For years, Molly and Howard traveled to Florida as snowbirds. One day about four years ago, long after both had retired, Molly bought a place here that became the couple’s permanent home. Shortly thereafter, caring for Howard became a chore for Molly. Molly and Howard, a World War II vet, share a relaxing moment in front of the memory quilt. “Howard’s now ninety-two, and he has Alzheimer’s disease,” states Molly. “At one point, he started becoming weak and frail, and it was difficult for me to take care of him. I realized I needed some help. “A friend mentioned a place a while ago, but I didn’t think anything of it then because I didn’t need the help at that time. When I did need it, I went online, looked up senior daycare, and three places came up. Grace Manor is an assisted living and memory care community that provides specialized care for residents with Alzheimer’s disease and other forms of dementia. When Molly toured Grace Manor, she was pleased with what she saw, so she began bringing Howard for daycare. “I went in and the woman who greeted me was wonderful,” Molly recalls. “She gave me a tour, including the kitchen, which was spotless. My background is in food service. 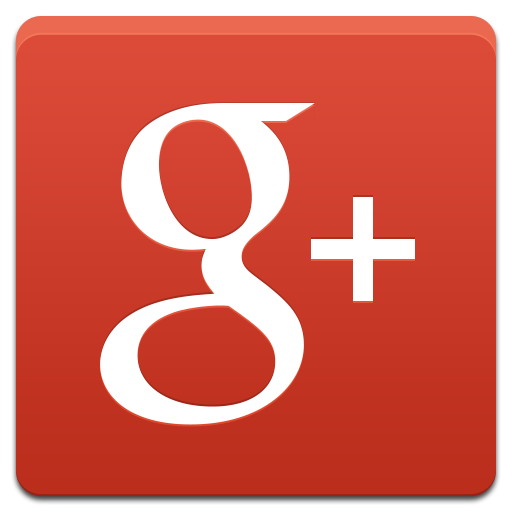 The staff was very friendly, and there was no pressure; it was very comfortable. The residents were in the big room doing activities. I liked Grace Manor. It was small, clean and had no odors. “After that, I began taking Howard to Grace Manor a few hours a week. They provided good care, and Howard liked it there. But then he stopped eating and became even more frail. As Howard’s needs changed, he was able to convert from a day stay resident to a permanent resident of Grace Manor. 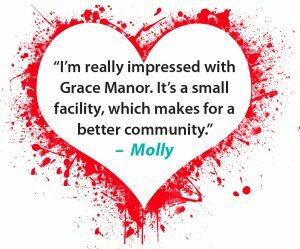 To help ease the transition, Molly was asked to limit her visits for a few weeks so Howard could get used to being at Grace Manor full time. She took the opportunity to travel to New York to visit friends and family. “When I first got back from up North, Howard kept asking me, When am I going home?” relates Molly. “I said, Howard, I can’t do it right now. After a while, he stopped asking me about going home, and I visit him almost every day. 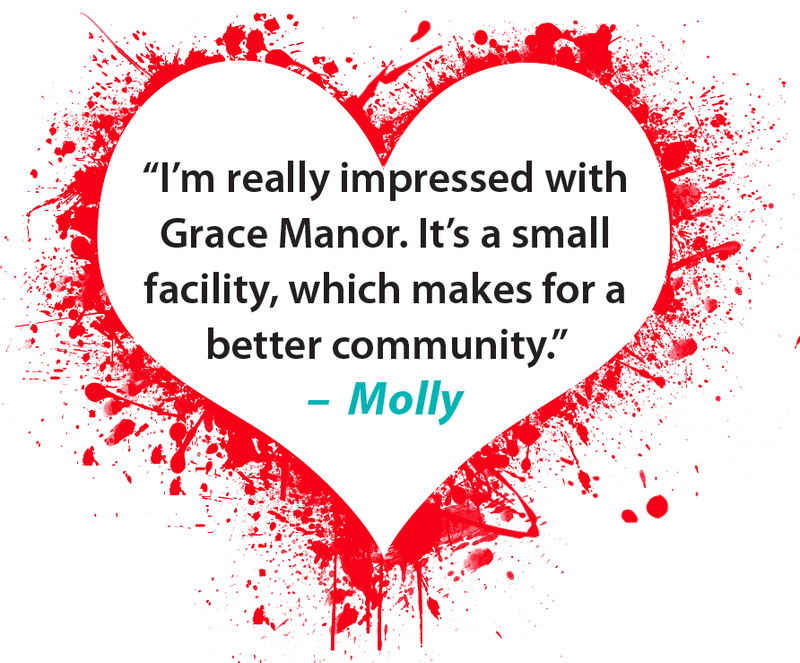 Molly is also impressed by the facilities at Grace Manor and the way the residents are treated by the staff. She knows Howard appreciates having his own suite as well as the freedom to choose the activities he wants to do and when he wants to do them. “I like that every room is a private room,” she describes. “They say the rooms are shared, but they only share the bathrooms, so that makes it nice for the residents. Howard has his privacy. He can go into his room and watch TV or take a nap anytime he wants. Since becoming a full-time resident, Howard has been thriving at Grace Manor, where a team of specially trained resident assistants is dedicated to caring for residents with Alzheimer’s disease and other forms of dementia. Those team members use methods to align themselves with whatever the resident is experiencing in the moment. The goal is to help the resident struggling with the effects of dementia to feel reassured, calm and not so alone. 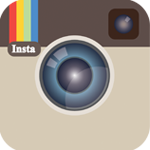 Grace Manor also has a life-enrichment program for its memory care residents. The program offers specific activities that cater to those with cognitive impairments such as Alzheimer’s and other types of dementia. As part of the program, the staff works with residents on a variety of sensory activities. A personal touch for residents with memory issues is the shadow boxes they have displayed outside their suites. The memory boxes are filled with photos and mementos that have personal significance for the resident. For residents with memory impairments, the boxes also help them locate their suites. The memory boxes not only help the residents, they also give the staff a wider perspective about the people they are caring for. “The memory boxes let the staff know that at one time the resident was a doctor, a lawyer, a police officer, a very important mother to young children,” notes Danielle. “We want to remember to see them as more than just our residents. The staff gets a little bit of insight about who they are and the things they accomplished when they were younger. Molly agrees that memories matter. “The community relations director found out I was a quilter and asked me if my group of ladies could make a quilt for them, as she wanted to raise money for the Alzheimer’s Association,” notes Molly. 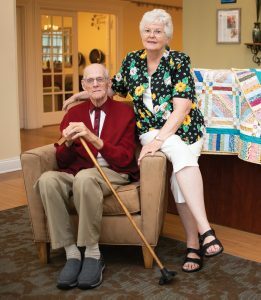 “It’s a beautiful queen-size quilt, and they have it hanging on the wall at Grace Manor while they sell the tickets for the raffle.” All proceeds are going to the Alzheimer’s Association. Molly visits Howard almost every day at Grace Manor and says he is adjusting well there. In the spirit of her quilting group, which calls itself Friends of Grace Manor, Molly has nothing but good things to say about the memory care community. “I’m really impressed with Grace Manor,” she comments. “It’s a small facility, which makes for a better community. The staff is fantastic, and the residents get really good care there. I absolutely recommend Grace Manor Port Orange.